I’ve spoken before about how Casio has had to battle against preconceptions of being basically a toy manufacturing company. In all honesty, if you look at many of their products, this label is more than well deserved. However, if the Casio CDP-120 can be classified as “one small step,” then surely the Casio Privia PX-130 is a “giant leap” for demolishing that stereotype. I spoke before about how my first keyboard as a child was a Casio. It wasn’t the most beautiful thing in the world, but it truly was beautiful to me. I cherished it for all of its quirky little features, and also for all of its shortcomings. But never could I have believed the same company who produced that childhood gift could create such an inexpensive masterpiece as the Privia PX-130. One of the most amazing things about the PX-130 is that for all its technological progress and innovative growth, it actually pales in comparison to the little Casio I had as a child in terms of buttons and control panels. My childhood keyboard had a blue light display screen, with what seemed to have been more than 50 buttons, and all kinds of turning wheels and adjusting knobs. Just by looking at it you’d think it could do much more than the Privia. But you couldn’t be more wrong. The makers of the PX-130 have purposely designed this digital piano to not only be a musical masterpiece, but also to be a work of art that fits well with your home décor. Below, please enjoy the interactive guide that was created to make your piano purchase easier. 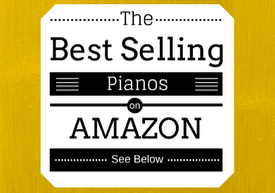 Compare the affordable Casio PX 130 to the best pianos in its class based on weight, price, and even customer reviews from Amazon.com. The piano has a simple, sleek look, with a black and grey finish. The board, like most 88-key pianos, is about 52 inches long and 11 inches wide. The best part about this Privia is that it only weighs an amazing twenty-five pounds! There are many digital pianos with nowhere near as much technology and engineering on board which weigh almost twice as much. When you first sit to play this piano, one thing you will realize almost immediately is how much it sounds like an actual piano. This is completely by design, and the engineers at Privia have gone to great lengths to achieve this. Casio has developed their own specific technology, namely the Linear Morphing System, which is integrated with four different levels of stereo piano samples to create an experience that would rival most acoustic pianos. In fact, in many of the reviews for the Casio PX-130 piano players themselves admit they would rather play this instrument than a real piano. Desirable features like the aforementioned weight of the unit make it such a difficult decision for many pianists. This Privia also has state of the art Tri-Sensor scaled hammer action technology built into its keys, which give an unprecedented sense of realism to the piano, replicating the feel of heavier keys around the bass, and lighter keys as you advance towards the treble. Added to this is technology called Acoustic Resonance DSP, which allows the keyboard to simulate the effect of open strings when the dampers are raised by the pedal, showing Casio’s attention to detail. 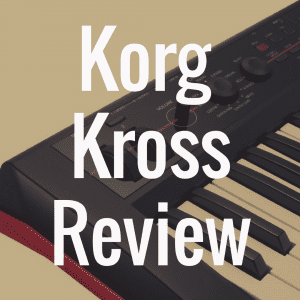 With 88 keys to work with, you know the piano has to have the technology to back up the hardware, and with a whopping 128 notes of polyphony, you know there’s no chance for dropped notes or a muddling of the sound. 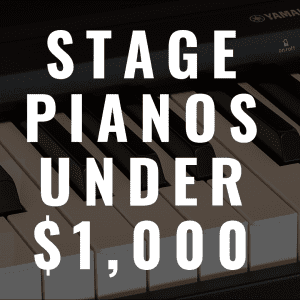 You also have the option of purchasing the piano with a sturdy wooden stand, a music rest, and all three piano pedals: sustain, soft, and sostenuto. That is truly an upgrade from most pianos I’ve seen; some of them only come with a single damper pedal, while some come with no pedal at all. This piano comes with sixteen different beautiful tones, all which can be controlled using the control panel just above the keys, or piano key function which allows you to use the keys as shortcuts to select options. 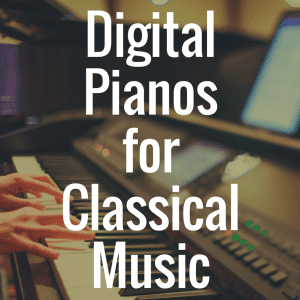 It’s a degree of functionality that’s becoming more common with most digital pianos, as it allows the manufacturers to do away with many of the cumbersome buttons and knobs that clutter the design. The machine also comes with a surprising number of demo songs – sixty – which the pianist can use to learn and practice with. I myself have always used the beautiful demos not only to increase my expectation of what can be achieved, but also to practice and inspire me to create music of my own. Most pianos come with no more than ten songs, but with the PX-130 you’ll have plenty to work with. Also, you can even take away the right hand or left hand portions of the demos and play along with them with the recorder function of the keyboard. The PX-130 comes with four different types of reverb, four types of chorus effects, a layering function which layers two tones simultaneously, and a split function which divides the keyboard into two different sections of instruments. A new innovation is Duet Mode, which allows the keyboard to split into two identical ranges of notes, which is perfect for student-teacher piano lessons, or a great duet practice sessions. 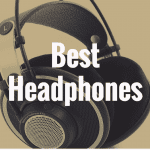 The two nifty quarter inch headphone jacks are perfect for this as well. The software capability of the PX-130 is quite impressive. I mentioned that the piano holds sixty demo songs, and the reason for this is the keyboard’s built in ‘digital piano memory’. This beautiful feature allows you not only to transfer song material from your computer, but also to record music and transfer it to your computer’s hard drive. You can do all this through the Privia’s trusty USB/MIDI connection. I’ve owned a number of pianos since my long run with my first beloved Casio. These pianist hands have touched almost everything from Yamahas to Korgs. I’ve heard everything in the book about each company, with all the advantages and disadvantages. But despite all the stereotypes, after coming in contact with the Privia PX-130, I think I may be ready to come back home to Casio. For more great reviews, please visit the Digital Piano Review Guide homepage. 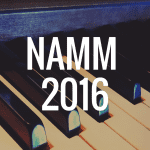 1) What’s the Best Digital Pianos Under $1,000? 3) What’s the Best Casio Digital Piano? 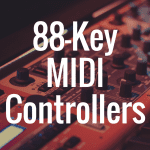 What’s the Best 88 Key MIDI Controller?